After bringing Video Calling Feature on Facebook with the collaboration of Skype all over the world, now Facebook has introduced its new Free VoIP Calling Feature from Facebook Messenger through iPhone, iPad and iPod over Wi-Fi or Cellular Data Connections but for the residence of U.S.A. and Canada only. 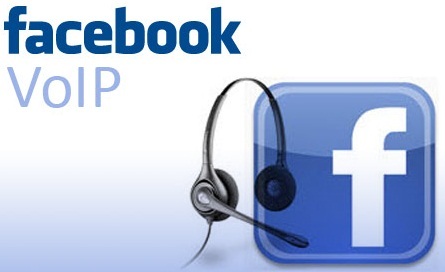 Now Facebook Messenger users of Apple iPhone, iPad and iPod can Make Free Phone Calls from Facebook Messenger Via Wi-Fi or Cellular Data Connections at free of charge to any of their Facebook Contacts (friends) having registered mobile number. Facebook is now integrating and rolling-out a Free Voice Calling Button in its Messenger Application available for the iPhone, iPad and iPod to U.S. and Canada users, according to Facebook, Messenger App users of iPhone, iPad and iPod do not have to update their current Facebook Apps because Free Calling Button will integrate itself on their Facebook Messenger Applications. First start a Facebook Messenger Conversation with any respective Facebook User who will be the recipient of the Free Call. Now Click the “i” button in the top-right-hand corner. After that, Click “Free Call” option from menu. Facebook recipients will get push notifications alerting them to the Free Call.